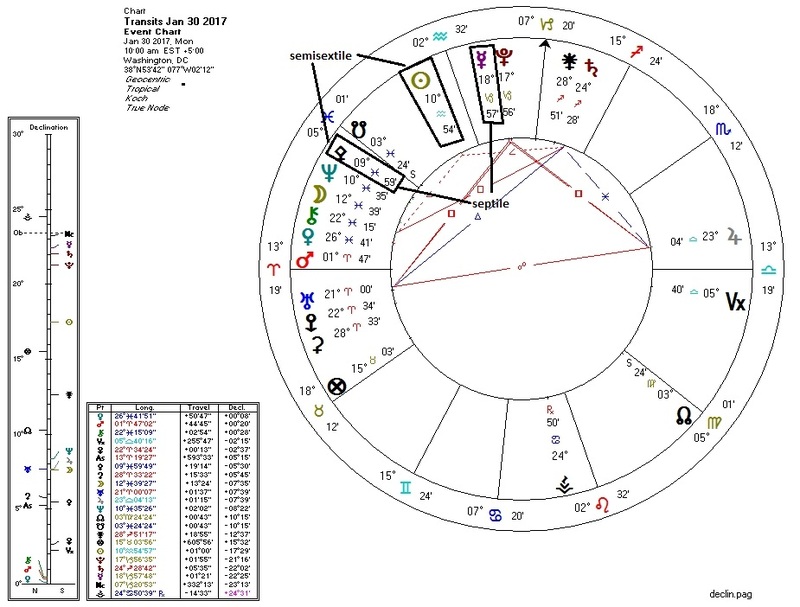 When "libertarian" events occur, such as peace treaties or the repeal of restrictive laws, the event chart will feature aspects between Pallas (or sign rulers) and the Sun, Mercury, and/or the North Node. In my experience of examining such events, this rule is without exception. Today's Trump executive order requires the repeal of two federal regulations for every new regulation. The event chart features minor aspects from both the Sun and Mercury to Pallas (click image above). There is also a Sun-Venus-Jupiter aspect triad (Sun semisquare Venus, Venus quincunx Jupiter, Jupiter squine Sun) which some mundane astrologers link to "peace" events.